March 7, 1849, Lancaster, Pennsylvania, 23:57 LMT. (Source; Sabian Symbols) :Died, April 11, 1926, Santa Rosa, CA. I see humanity now as one vast plant, needing for its highest fulfillment only love, the natural blessings of the great outdoors, and intelligent crossing and selection. In the span of my own lifetime I observed such wondrous progress in plant evolution that I look forward optimistically to a healthy, happy world as soon as its children are taught the principles of simple and rational living. We must return to nature and nature's god. I have learned from Nature that dependence on unnatural beliefs weakens us in the struggle and shortens our breath for the race. The time has come for honest men to denounce false teachers and attack false gods. Science, unlike theology, never leads to insanity. This should be enough for one who lives for truth and service to his fellow passengers on the way. No avenging Jewish God, no satanic devil, no fiery hell is of any interest to me. The clear light of science teaches us that we must be our own saviors. Science is the only savior. Obsolete misleading theologies bear the same relation to the essence of true religion that scarlet fever, mumps, and measles do to education. Children are the greatest sufferers from outgrown theologies. What is the use of assuring Fundamentalists that science is compatible with religion. They retort at once, "Certainly not with our religion." Justice, love, truth, peace and harmony, a serene unity with science and the laws of the universe. And to think of this great country in danger of being dominated by people ignorant enough to take a few ancient Babylonian legends as the canons of modern culture. Our scientific men are paying for their failure to speak out earlier. There is no use now talking evolution to these people. Their ears are stuffed with Genesis. Of course it must, and our scientific men must be criticized boldly. They will not feel comfortable when you and I are through with them. Let us read the Bible without the ill-fitting colored spectacles of theology, just as we read other books, using our own judgment and reason, listening to the voice within, not to the noisy babel without. Most of us possess discriminating reasoning powers. Can we use them or must we be fed by others like babes? Prayer may be elevating if combined with work, and they who labor with head, hands or feet have faith and are generally quite sure of an immediate and favorable reply. Nature is not personal. She is the compound of all these processes which move through the universe to effect the results we know as Life and of all the ordinances which govern that universe and that make Life continuous. She is no more the Hebrew's Jehovah than she is the Physicist's Force; she is as much Providence as she is Electricity; she is not the Great Pattern any more than she is the Blind Chance. I have seen myself lose intolerance, narrowness, bigotry, complacence, pride and a whole bushel-basket of other intellectual vices through my contact with Nature and with men. And when you take weeds out of a garden it gives you room to grow flowers. So, every time I lost a little self-satisfaction, or arrogance, I could plant some broadness or love of my own in its place, and after a while the garden of my mind began to bloom and be fragrant and I found myself better equipped for my work and more useful to others as a consequence. The idea that a good God would send people to a burning hell is utterly damnable to me. I don't want to have anything to do with such a God. But while I cannot conceive of such a God, I do recognize the existence of a great universal power -- a power which we cannot even begin to comprehend and might as well not attempt to. It may be a conscious mind, or it may not. I don't know. As a scientist I should like to know, but as a man, I am not so vitally concerned. I am an infidel. I know what an infidel is, and that's what I am. 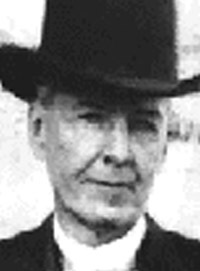 -- Luther Burbank, after rejecting agnosticism as being ignorant of the beginning of things and the power behind them and atheism as denial of the existence of God, and then having found, in Webster's New International Dictionary, that an infidel is: "1. In respect to a given religion, one who is an unbeliever; a disbeliever; especially a non-Christian or one opposing the truth or authoritativeness of the Christian Church. 2. 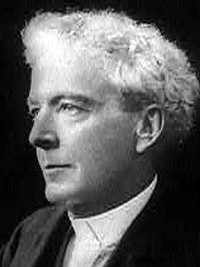 One who does not believe (in something understood or implied); quoted by Edgar Waite in "Luther Burbank, Infidel"
The universe is not big enough to contain perpetually all the human souls and the other living beings that have been here for their short spans. A theory of personal resurrection or reincarnation of the individual is untenable when we but pause to consider the magnitude of the idea. On the contrary, I must believe that rather than the survival of all, we must look for survival only in the spirit of the good we have done in passing through. This is as feasible and credible as Henry Ford's own practice of discarding the old models of his automobile. When obsolete, an automobile is thrown in the scrap heap. Once here and gone, the human life has likewise served Its purpose. If it has been a good life, it has been sufficient. There is no need for another. The theory of reincarnation comes, like all other religious theories, from the best qualities in human nature, even if in this as in the others its adherents sometimes fail to carry out the tenets in their lives. Religion grows with the intelligence of man, but all religions of the past and probably all of the future will sooner or later become petrified forms instead of living helps to mankind. Until that time comes, however, if religion of any name or nature makes man more happy, comfortable, and able to live peaceably with his brothers, it is good. As a scientist I cannot help feeling that all religions are on a tottering foundation. None is perfect or inspired. As for their prophets, there are as many today as ever before, only now science refuses to let them overstep the bounds of common sense. The idea that a good God would send people to a burning hell is utterly damnable to me. The ravings of insanity! Superstition gone to seed! I don't want to have anything to do with such a God. But while I cannot conceive of such a God, I do recognize the existence of a great universal power -- a power which we cannot even begin to comprehend and might as well not attempt to. It may be a conscious mind, or it may not. I don't know. As a scientist I should like to know, but as a man, I am not so vitally concerned. As for Christ -- well, he has been most outrageously belied. His followers, like those of many scientists and literary men, have so garbled his words and conduct that many of them no longer apply to present life. Christ was a wonderful psychologist. He was an infidel of his day because he rebelled against the prevailing religions and government. I am a lover of Christ as a man, and his work and all things that help humanity, but nevertheless just as he was an infidel then, I am an infidel today. I do not believe what has been served to me to believe. I am a doubter, a questioner, a skeptic. However, when it can be proved to me that there is immortality, that there is resurrection beyond the gates of death, then will I believe. Until then, no. Although I went to college as a youth, I never considered it necessary to steep oneself in academic learning, in order to learn how to think. I welcome a fair and square, open and above-board fight on any subject, including this, but I despise a man who sneaks around under a cloak or cover of any society or clique to strike his blows. Luther Burbank, in response to Rev. 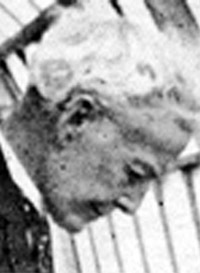 Fred A. Keast of the First Methodist Episcopal Church in Santa Rosa, who had stated, "Mr. Burbank, in a time when the youth of the land are jazz crazed and breaking away In large numbers from religious teachings, has voiced foolish utterances," quoted from Edgar Waite, "Luther Burbank, Infidel" Do not feed children on maudlin sentimentalism or dogmatic religion; give them nature... Do not terrify them in early life with the fear of an after-world. Never was a child made more noble and good by the fear of a hell. "Science . . . has opened our eyes to the vastness of the universe and given us light, truth and freedom from fear where once was darkness, ignorance and superstition. There is no personal salvation, except through science." "I believe in the immortality of influence." "The chief trouble with religion has been too much dependence upon names or words. People fail to discriminate. They do not think. Generally people who think for themselves, instead of thinking according to the rules laid down by others, are considered unfaithful to the established order. In that respect I, too, differ with the established order and established designations." "What is the use of assuring Fundamentalists that science is compatible with religion. They retort at once, "Certainly not with our religion." "[Burbank's 'religion']: Justice, love, truth, peace and harmony, a serene unity with science and the laws of the universe." "Those who would legislate against the teaching of evolution should also legislate against gravity, electricity and the unreasonable velocity of light, and also should introduce a clause to prevent the use of the telescope, the microscope and the spectroscope or any other instrument . . . used for the discovery of truth." 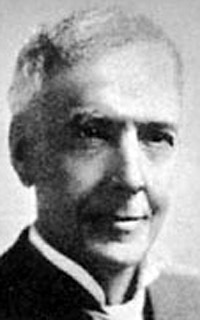 Luther Burbank - "The Wizard of Horticulture"Luther Burbank (March 7, 1849–April 11, 1926) was an American botanist, horticulturist, and pioneer of agricultural science. He developed more than 800 strains and varieties of plants over his 55-year career. Burbank's varied creations included fruits, flowers, grains, grasses, and vegetables. He developed a spineless cactus (useful for cattle-feed) and the plumcot. Burbank's most successful strains and varieties include the Shasta daisy, the Fire poppy, the July Elberta peach, the Santa Rosa plum, the Flaming Gold nectarine, the Burbank plum, the Freestone peach, and the Burbank potato. Burbank also bred the white blackberry and the nectarine. A natural sport (genetic variant) of the Burbank potato with russet (reddish-brown) skin later became known as the Russet-Burbank potato: this large, brown-skinned, white-fleshed potato has become the predominant processing potato in the United States of America. Born in Lancaster, Massachusetts, Burbank grew up on a farm and received only an elementary education. The thirteenth of 15 children, he enjoyed the plants in his mother's large garden. His father died when he was 21 years old, and Burbank used his small inheritance to buy a 17-acre (69,000 m²) plot of land near Lunenberg. Burbank developed the Burbank potato, 1872 to 1874. Burbank sold the rights to the Burbank potato for $150 and used the money to travel to Santa Rosa, California, in 1875. Later, a natural sport of 'Burbank' potato with russetted skin was selected and named 'Russet Burbank'. Today, the 'Russet Burbank' potato is the most widely cultivated potato in the United States, prized for processing. McDonald's French fries are made exclusivly from this cultivar. In Santa Rosa, Burbank purchased a 4-acre plot of land, and established a greenhouse, nursery, and experimental fields that he used to conduct crossbreeding experiments on plants, inspired by Charles Darwin's The Variation of Animals and Plants under Domestication. (This site is now open to the public as a city park, Luther Burbank Home and Gardens.) Later he purchased an 18-acre plot of land in the nearby town of Sebastopol for more experimental growing. 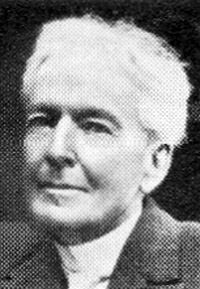 During his career, Burbank wrote, or co-wrote, several books on his methods and results, including his eight-volume How Plants Are Trained to Work for Man (1921), Harvest of the Years (with Wilbur Hall, 1927), Partner of Nature (1939), and the 12-volume Luther Burbank: His Methods and Discoveries and Their Practical Application. Burbank also published in 1893 a descriptive catalog of some of his best varieties, entitled called New Creations in Fruits and Flowers. He also wrote two books unrelated to botany: Piecing the Fragments of a Motion Picture Film : We Stop to Take a Backward Glance and My Beliefs. I love humanity, which has been a constant delight to me during all my seventy-seven years of life; and I love flowers, trees, animals, and all the works of Nature as they pass before us in time and space. What a joy life is when you have made a close working partnership with Nature, helping her to produce for the benefit of mankind new forms, colors, and perfumes in flowers which were never known before; fruits in form, size, and flavor never before seen on this globe; and grains of enormously increased productiveness, whose fat kernels are filled with more and better nourishment, a veritable storehouse of perfect food--new food for all the world's untold millions for all time to come. In mid-March 1926, Burbank suffered a heart attack and became ill with gastrointestinal complications. He died on April 11, 1926, and is buried near the greenhouse at the Luther Burbank Home and Gardens. Burbank's work spurred the passing of the 1930 Plant Patent Act four years after his death. The legislation made it possible to patent new varieties of plants (excluding tuber-propagated plants). In supporting the legislation, Thomas Edison testified before Congress in support of the legislation and said that "This [bill] will, I feel sure, give us many Burbanks." The authorities issued Plant Patents #12, #13, #14, #15, #16, #18, #41, #65, #66, #235, #266, #267, #269, #290, #291, and #1041 to Burbank posthumously. The town of Burbank, California, does not take its name from Burbank, but from the Los Angeles dentist David Burbank; however, the horticulturist gave his name to Luther Burbank Middle School in Burbank. The Luther Burbank School District in San Jose and Santa Rosa's Luther Burbank Rose Parade and Festival also honor Luther Burbank. Santa Rosa used to have a performing arts center named after Burbank, but Wells Fargo bought naming rights for $3.2 million in 2006 and renamed it. The Lancaster Middle School in Lancaster, Massachusetts was renamed to Luther Burbank Middle School in 2003. In 1931 the Boys Parental School located on Mercer Island, Washington changed its name to Luther Burbank School. The school continued to function until 1966. The land on which the school was built was bought by King County and converted into Luther Burbank Park. 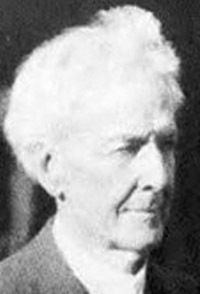 Luther Burbank is generally regarded as the father of modern plant breeding. Beginning in 1870 he developed more than 800 new strains of fruits, vegetables, flowers and grasses; his ideas in general, and many of his hybrids in particular, were important to the revolution in agriculture and food production in the 20th century. One of his earliest creations was the Burbank potato, a blight-resistant crop which was heavily planted in Ireland. The California city of Burbank is not named for Luther Burbank. Rather it is named for Los Angeles dentist David Burbank... Another famous botanist of Burbank's era was peanut genius George Washington Carver.